A forum and safe space for difficult and enlightening conversations about end-of-life and related health issues affecting our community. The film series events are FREE and OPEN to the public. Click here to download the flyer for the events. A joyous cinematic exploration of music’s capacity to reawaken our souls and uncover the deepest parts of our humanity. Filmmaker Michael Rossato­ Bennett chronicles the astonishing experiences of individuals around the country who have been revitalized through the simple experience of listening to music. In February 2014, Peter Bruun wrote a post on his blog two weeks after he and his family suffered an unthinkable tragedy – the death of his oldest daughter, Elisif, from a heroin overdose. Peter titled the post “A New Day” and began the work of the New Day Campaign, a Baltimore-based initiative that uses art to challenge the stigma associated with mental illness and addiction. Come experience the power of an audio-video creation of “Elisif’s Story” and join the conversation. A film featuring Deepak Chopra, Marilyn Schlitz, and leading scientists, anthropologists, philosophers and spiritual teachers. A journey through different cultures and time periods which turns our fear of death into a source of living richer lives full of hope and compassion. 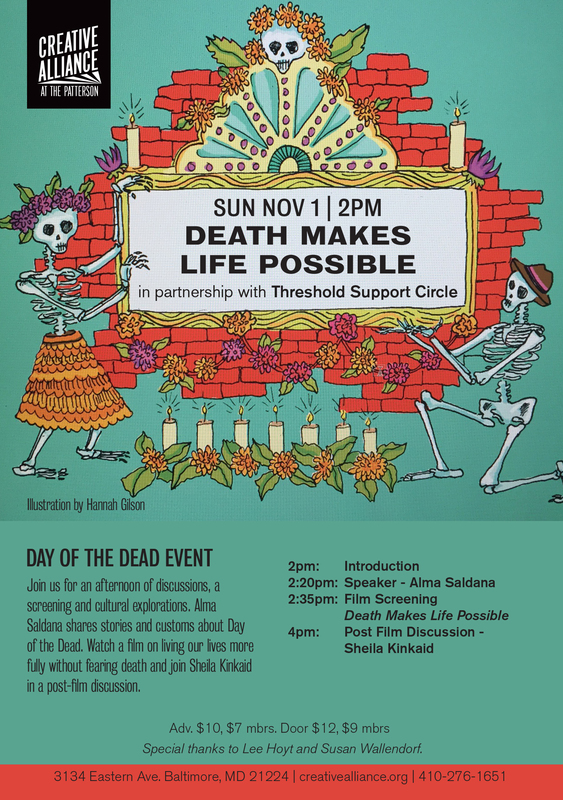 Watch a trailer at deathmakeslifepossible.com.